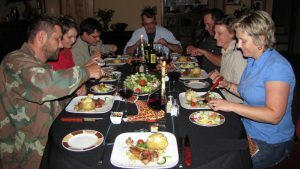 Joubert Pro Hunt’s main lodge is situated North West from O.R. Tambo International airport, in the beautiful Waterberg area of Limpopo Province. 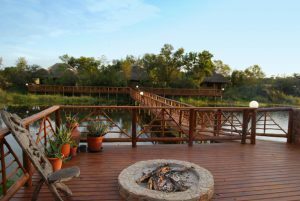 The main lodge and chalets are situated on the banks of a pond, with stunning views. There’s an open fire pit with bar facilities and swimming pool for your relaxation. WiFi internet available. 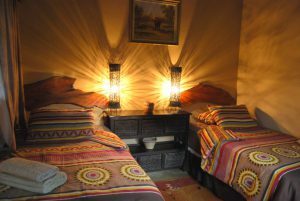 The lodge accommodates 12 people, in 3 thatched chalets, with 6 comfortable rooms with en suite bathrooms. After a rewarding days hunting, your will experience our South African hospitality. We serve traditional South African dishes, complemented by our acclaimed South African Red Wines.